The second bunkering operation was performed on March 18th, when 18 tonnes (10,800 Nm3) of LNG were loaded into the tanks of the Ireland vessel, from a single container. – LNG bunkering of ships is yet another of the many possible applications of gas imported by PGNiG to Poland from Qatar, Norway and the United States via the Lech Kaczyński LNG Terminal in Świnoujście. We are convinced that LNG, due to its environmentally friendly qualities, will be the future of maritime transport in the Baltic – said Maciej Woźniak, Vice President of the PGNIG Management Board for Trade. – Grupa LOTOS readily engages in projects involving alternative fuels, which is consistent with our Group’s growth strategy for 2017–2022. LOTOS’s ambition is to win leadership in promoting new generation alternative fuels, such as LNG. It is a clean and safe fuel. The key to further enhancing its popularity is development of LNG logistics and bunkering infrastructure. 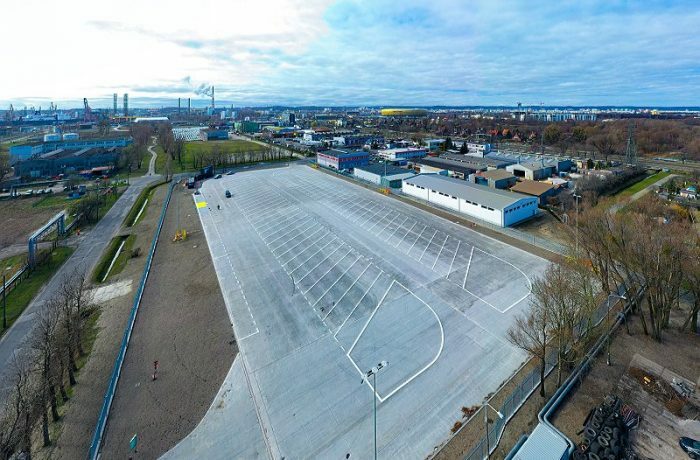 To this end, Grupa LOTOS have become involved in conducting a feasibility study for the construction of a small-scale LNG handling terminal in Gdańsk, which is partly financed by the European Union (CEF) – said Patryk Demski, Vice President of the Management Board of Grupa LOTOS S.A., Chief Investment and Innovation Officer. – Grupa LOTOS and PGNiG have worked together for many years. PGNiG supplies natural gas to Grupa LOTOS, and Grupa LOTOS uses this fuel in oil refining. The collaboration has been very successful. 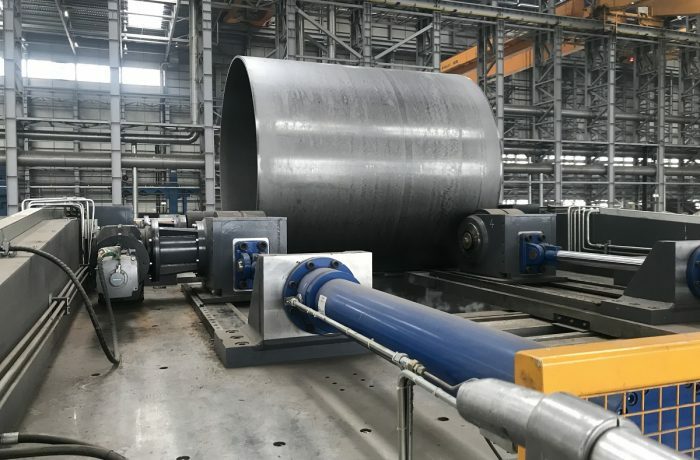 Each company can draw on the experience of the other: LOTOS’s knowledge of the marine fuel market and PGNiG’s expertise in LNG – added Cezary Godziuk, President of the Management Board of LOTOS Asfalt. 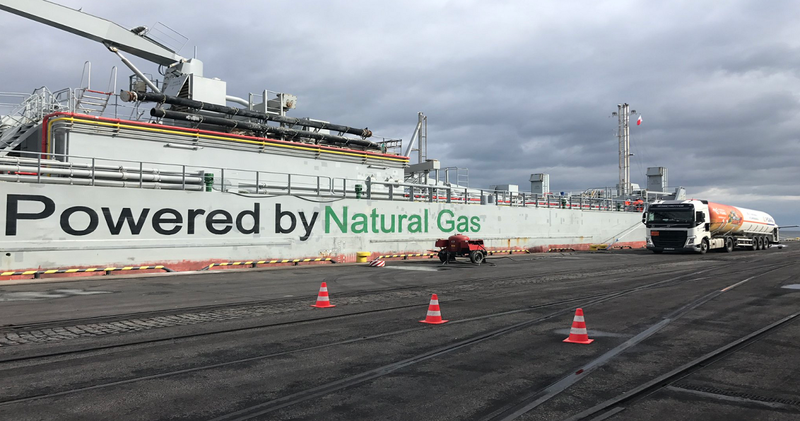 On March 13th 2019, 54 tonnes (32,000 Nm3) of LNG were pumped into the tanks of Fure Valo, a vessel owned by a Swedish shipping company which plans to increase its LNG-powered fleet to six such vessels by the end of the year. The second bunkering operation was performed on March 18th, when 18 tonnes (10,800 Nm3) of LNG were loaded into the tanks of the Ireland vessel, from a single container. – I am glad that, in line with our last year’s declarations, we completed the first fully commercial LNG bunkering of ships in Poland. 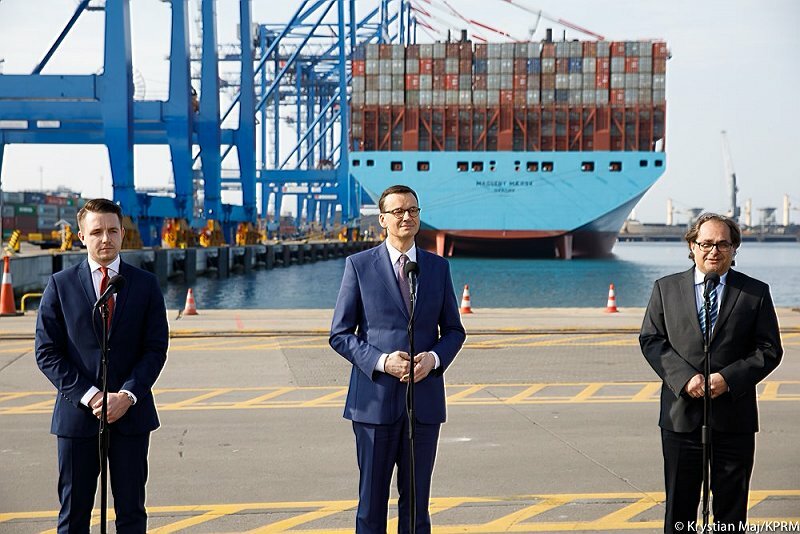 It is a milestone in the development of LNG bunkering at Polish sea ports, which will greatly enhance their competitiveness. I would like to emphasise in particular the excellent cooperation in ship bunkering both with the Port of Gdańsk and the Port of Gdynia – said Henryk Mucha, President of the Management Board of PGNiG Obrót Detaliczny Sp. z o.o. – Shipowners are very much interested in the bunkering service at Polish ports. The reason behind this is the growing awareness that LNG, as an alternative marine fuel, is the only mature solution that can meet both existing and future emission standards and be economically viable at the same time – said Marcin Szczudło, Vice President of the PGNiG Obrót Detaliczny Management Board, responsible for CNG/LNG activities.